The OpenMTA is a Material Transfer Agreement (MTA) designed to support openness, sharing and innovation in global biotechnology. Material Transfer Agreements (MTAs) provide the legal frameworks within which research organisations define terms and conditions for sharing their materials - everything from DNA molecules to plant seeds to patient samples. Use of the OpenMTA allows redistribution and commercial use of materials, while respecting the rights of creators and promoting safe practices. The new standardised framework also eases the administrative burden for technology transfer offices, negating the need to negotiate unique terms for individual transfers of widely-used materials. The OpenMTA launches today with a commentary published in the journal Nature Biotechnology. It provides a new way to exchange materials commonly used in biological research and engineering, complementing existing, more restrictive arrangements. The OpenMTA also promotes access for researchers and individuals working in less privileged institutions and world regions. 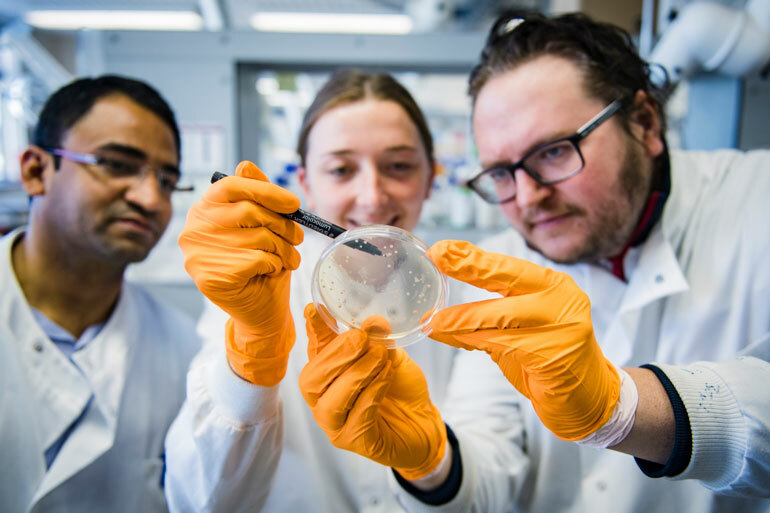 The agreement was developed through a collaboration, led by the San Francisco-based BioBricks Foundation and the UK-based OpenPlant Synthetic Biology Research Centre, a joint initiative between the University of Cambridge, John Innes Centre and Earlham Institute. The collaboration brought together an international working group of researchers, technology transfer professionals, social scientists, and legal experts to inform the creation of a framework that could improve sharing of biomaterials. The team identified five design goals on which to base the OpenMTA: (i) access, (ii) attribution, (iii) reuse, (iv) redistribution, and (v) non-discrimination. Additional design goals include safety and sharing in an international context. Dr Linda Kahl, Senior Counsel of BioBricks Foundation, said: “We encourage organisations worldwide to sign the OpenMTA Master Agreement and start using it. In five years’ time my ideal is for the OpenMTA to be the default option for the transfer of research materials”. Drew Endy, President of the BioBricks Foundation, and Professor at Stanford University, said: “The OpenMTA provides a permissive foundation supporting many communities and interests. It is a critical step forward in enabling all people to benefit from next generation biotechnologies. The new agreement was also welcomed by Dr Joanne Kamens, Executive Director at Addgene, a leading global charity that helps scientists share plasmids. "Addgene is excited to see this new option becoming available to increase reagent sharing and scientific collaboration. This kind of open exchange drives innovation and accelerates research,” she said. Dr Fernán Federici, an early adopter of the OpenMTA, from the Millennium Institute for Integrative Biology (iBio), Santiago, Chile, said: "The OpenMTA will be particularly useful in Latin America, allowing researchers to redistribute materials imported from overseas sources, reducing shipping costs and waiting times for future local users. We are implementing it in an international project that requires sharing genetic tools among labs in four different continents. We believe, the OpenMTA will support projects based on community-sourced resources and distributed repositories that lead to more fluid collaborations." See full paper in Nature Biotechnology and visit https://www.openplant.org/openmta/ to become a signatory. An easy-to-use legal tool that promotes exchange of biological materials. By removing blanket restrictions, the Open MTA aims to inspire innovation so that all people benefit from advances in biotechnology. Universities, research institutes, companies, community labs, funders and charities are all encouraged to sign the OpenMTA Master Agreement. Can you give us some examples of the biological materials and exchanges that are covered? Research materials such as DNA, plasmids, microorganisms, proteins, seeds, and tissue samples are covered. The exchanges can take place between individual researchers or different organisations, including transfers of research materials between non-profit and for-profit sectors. Visit https://www.openplant.org/openmta/ to become a signatory to the OpenMTA Master Agreement. Then all that is needed to complete a transfer is an Implementing Letter, which specifies the materials to be transferred. The full text of the OpenMTA can be found at: https://www.openplant.org/openmta/. Can it work alongside other specific MTAs we have with collaborators? Signatories are not obligated to use the OpenMTA for all transfers. Instead, individuals and organisations retain discretion in deciding which materials to transfer under OpenMTA terms so they may honour existing agreements that are already in place.